Everyone stands the chance to win! We have exciting news for all our players – not just Rewards cardholders! Between 15 April and 22 July 2019, anyone who plays Slots in our Club Select area at Mykonos Casino stands the chance to win a share of R40,000 in mystery prizes! Sounds like fun, right? Draws will take place every second Monday, so make sure you come and play for your chance to win! Rewards cardholders and non-members that play slots in the Club Select area between 10h00 and 13h00 on the draw days, will receive 1 manual draw ticket to enter into the draw bin, per draw date. As the guests earn the manual draw ticket, the ticket will be place in the promotional draw bin at the Club Select Area and the guests will keep the verification slip as proof of the ticket entry. Each guest will only receive one draw ticket per draw date between the periods from 10h00 until 13h00. Each ticket will only be valid for the draw date only. Draws will take place at 13h00 and at each draw date, 15 winners will be selected, with a total worth of R5,000 in mystery prizes up for grabs, per draw date. All winners will be selected via the draw bin and winning ticket number will be verified. Participants will have to keep their verification slip to claim their prize. Winners will be selected via the draw bin. Participants are entitled to only one draw ticket per draw day. Guests will receive one draw ticket by playing on slots machines at the Club Select area, every second Monday between the period 10h00 until 13h00, starting from 15 April, until 22 July 2019. As per Management discretion, participants are entitled to only one prize per draw date. A re-draw will take place if the same guest is selected as a winner during the same draw day. Tickets are not transferrable, as prize winners can only win once per draw day. All tickets will stay in the draw bin from 10h00 until 13h00 on the advertised draw dates. Each ticket will only be valid for the draw date only. Prize Winners will be selected by a manual draw, where the winning ticket will be selected out of a draw bin. Draw times, dates, will be advertised through approved advertising mediums used for this promotion. 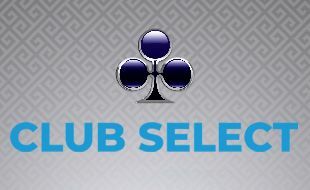 Guests can only earn tickets by playing slots machines at the Club Select area at Mykonos Casino from 10h00 until 13h00. Draws will take place every second Monday starting on 15 April and ending on 22 July 2019. Each prize winner will have the opportunity to select one of the 15 mystery prizes out of a promotional bag.